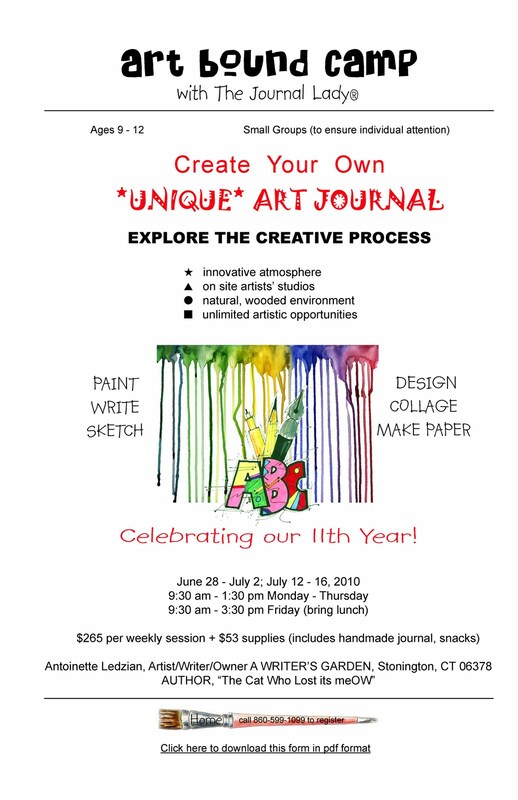 Celebrating our 11th year with a unique, FUN, creative camp at A Writer's Garden "where creative ideas bloom." We are offering only two sessions this summer and will accept 5 children per week, so sign up now, as spots fill quickly! 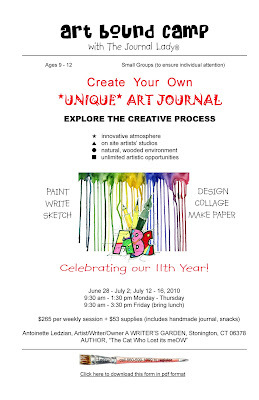 My husband, Richard, and I create from our studio at A Writer's Garden in Stonington, CT where, for the past 24 years, our passion has been illustrating the written word in various mediums, most recently through our published book, "the cat who lost its meOW" . . . I've also been trademarked as "The Journal Lady®" for 20 years. Visit our website below for an in depth peek at our work.